Mondo and Black Dragon Press have two new joint print releases available. 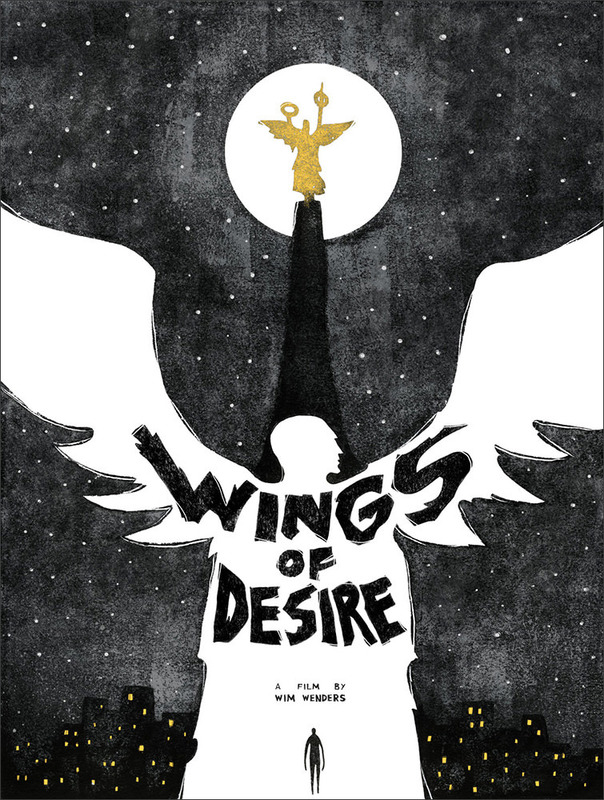 Wings of Desire by Jeffrey Alan Love is an 18″ x 24″ screenprint, the US Variant (metallic stars) has an edition of 60, and costs $55, the UK Variant (gold stars) has an edition of 60, and costs £40. 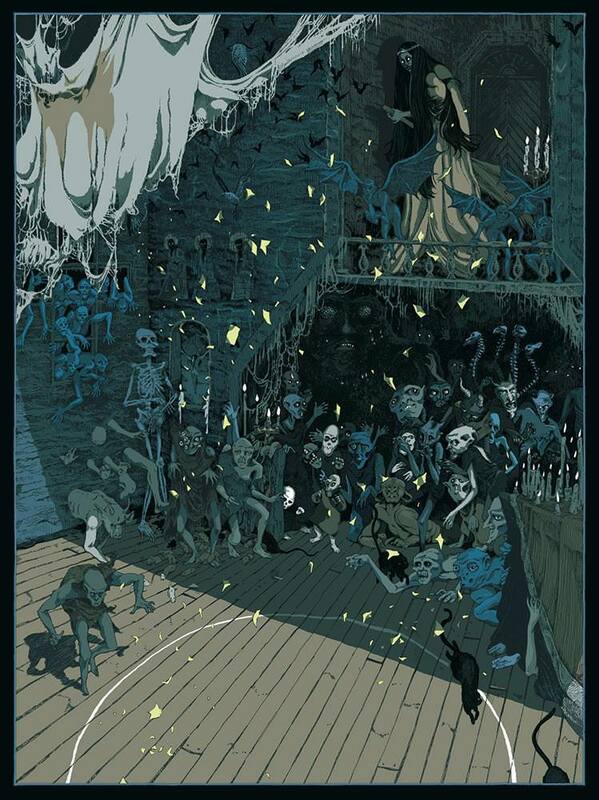 Viy by Jessica Seamans is an 18″ x 24 screenprint, has an edition of 90, and costs $50 / £35. 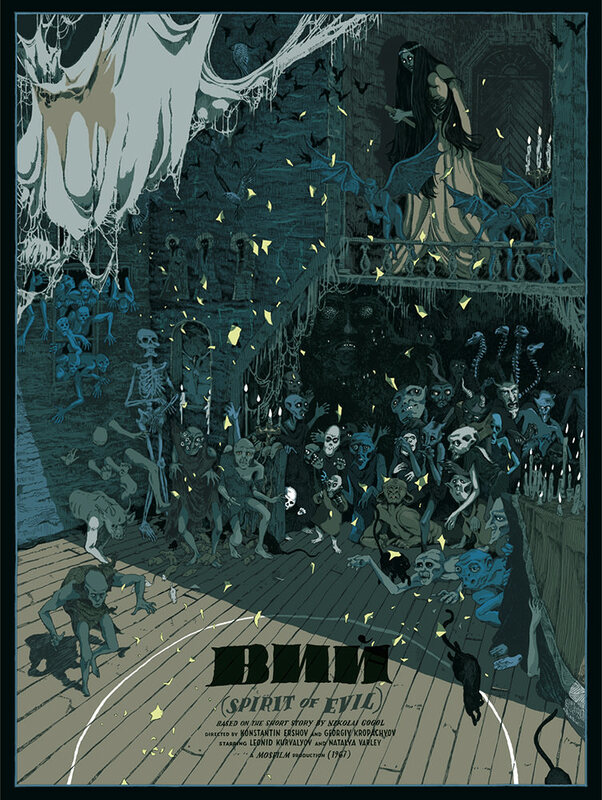 An art print of Viy is available from Black Dragon Press and costs £35. Visit Mondotees.com for the US versions and BlackDragonPress.co.uk for the UK versions.